200 Crochet Blocks is an excellent resource for a newbie crocheter like me. I find the patterns easy to follow, and the layout easy to read. I also appreciate how each pattern has a difficulty rating, to help me decide which to attempt as I start out. Not all the patterns appeal to me visually, but that would always be the case in a collection such as this one. 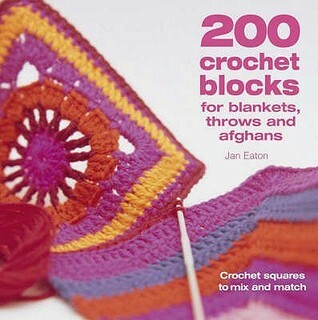 I am about to attempt my first blanket and will choose a couple of blocks from this collection for that purpose.